This property will appeal to anyone who is looking at a Rotorua holiday where they can safely stay and park the boat/s on the site, use the property as a base to explore the Bay of Plenty, do the fun things including this fantastic new mountain biking activity, or slide down the mountain on that great luge which any age group cannot fail to enjoy, drive a few minutes up the road to the Paradise Valley experience and this is a world class animal and nature wonderland. Dogs are allowed on this property, but only the small type like Jack Russells. There is only limited containment fencing. Smoking only outside please and pick up your butts. NOTE Although a Hot Tub is showing in a couple of the images, unfortunately, this is no longer functioning. One bathroom with a shower and bath. Just the one separate toilet. An optional linen package is available at a cost of $20 per person. This includes sheets, pillowcases, towels, tea towels. Beautiful property with a great view. Friendly neighbours. Was awesome having wifi and sky tv. We had a awesome stay here. Beds were very comfy. Wish we could’ve stayed for longer! On the first day we had problems using the key with the lock on the front door but this was resolved very quickly. It is a great location, not far from the main hub of Rotorua and it is a peaceful area. We enjoyed walking each morning approximately 4km to the top of Mountain Road to enjoy the views. Thank you for the large assortment of condiments in the pantry, we had a great stay and will definitely come and stay again. 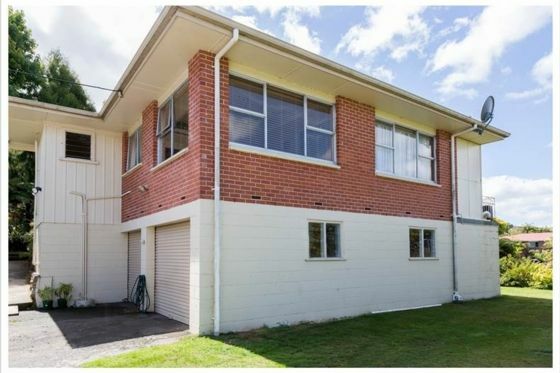 Location is lovely close to activities and central rotorua. Nice views. The property was as expected a little dated but family friendly. Would have been even better if the hot tub functioned. The inside of the house was perfect but the lawn was knee high and were tree branches blocking the lake and town view.Internet needed to be reset every now and again using the main circuit power breaker.This is tiresome and not safe.This house still comes up under properties with hot tubs yet the one on this doesn’t work.We felt cheated because that was one of the reasons we selected this up. A really comfortable place that was super close to all the activities and amenities of Rotorua. It had an amazing view and slept 7 of us easily (3 of our group dropped out so would've been 10 with air mattresses in the lounge). This would've been a 5 star review but for the inability to connect to the wifi and the unkempt lawn. The landlord was easy to deal with due great communication. Lovely, quiet neighborhood. The house is equipped with everything one could possibly need and more. If looking for a movie there are 2 theatres in Rotorua, Reading Cinemas, and The Basement Cinema….this one also has a cafe and a climbing wall. It’s a quaint little picture theatre with 2 cinemas running each holding around 20 patrons. The local Golf Clubs are Arikikapakapa about 3.5ks from you, Springfield about 3ks, and Lakeview about 10ks. All are of a good standard.